Full house! Teach a variety of useful and tricky words on sight with this lively bingo set! Encourage and increase your child’s vocabulary with flashcards and three fantastic games. 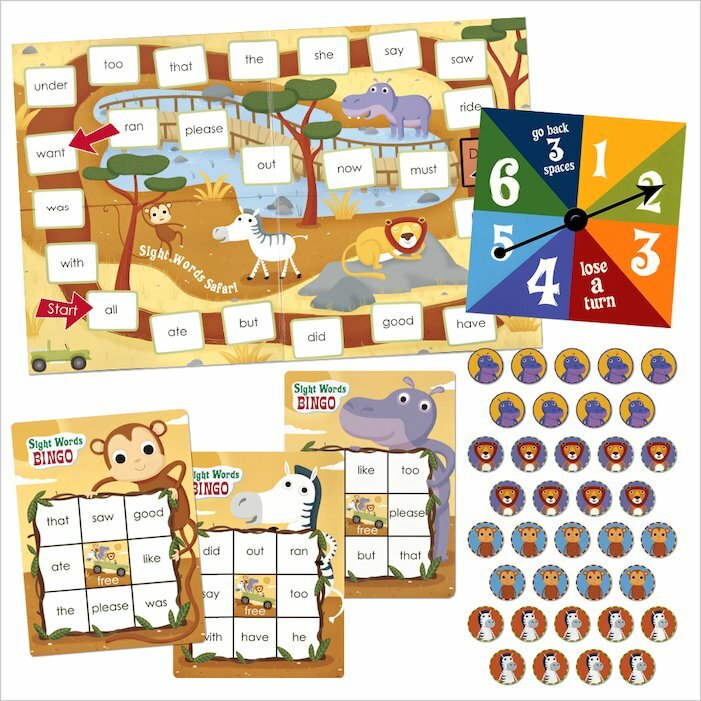 Decorated with the most adorable jungle animals, this beautiful boxed game lets you play in three ways: sight words bingo, sight words safari and sight words coin toss. 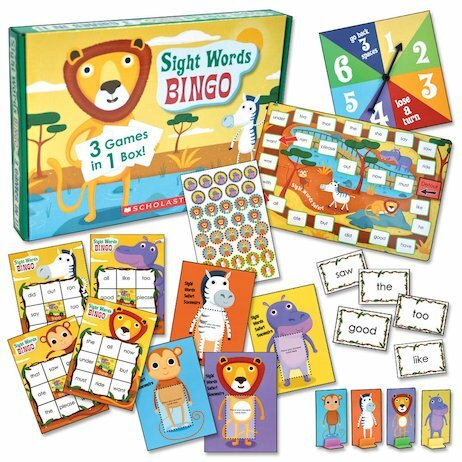 Each game helps to teach 24 must-know sight words such as like, must, saw and under. Mastering these words will dramatically increase your child’s ability to read fluently and confidently. So take a thrilling safari into the world of play to get on top of them all! 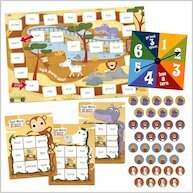 Box contains one large decorated game board with two sides; four decorated player boards; deck of 24 sight words cards; spinner and animal playing pieces.